We offer both domestic and commercial mattress pick-ups, please read more details below to see if you are in an eligible area. 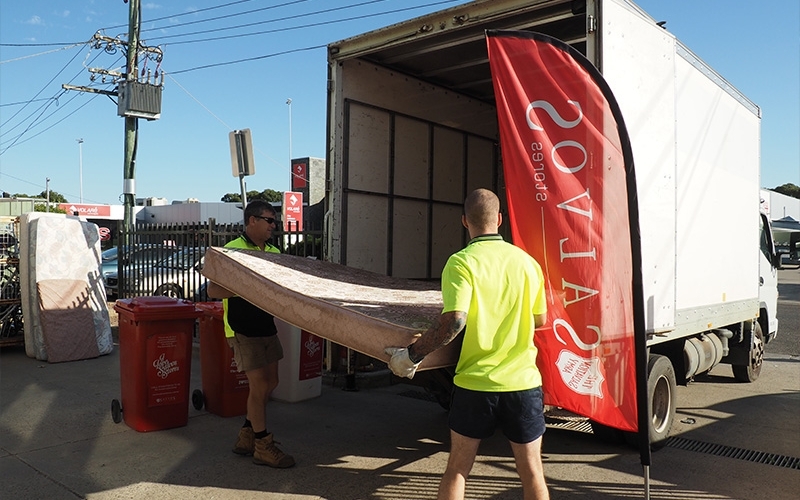 The Mattress Recycler offers a domestic collection service in the greater Geelong region including the Bellarine and some parts of the surf coast. We collect your unwanted mattresses and bases direct from your home and collections are performed weekly on Wednesdays (some areas are fortnightly). Are you in our collection area? If so which suburb? What size mattress and/or base do you have to collect? Is your mattress inner spring? Standard fees apply for inner spring and foam mattresses, however latex mattresses incur extra charges. You do not need to be home for collection. We ask for you to leave your mattress something accessible at the front of your property that is easily accessible for our driver to pick up. If you need help getting your mattress out of the house this can also be organised. You can prepay or pay the driver on the day of your collection. Most areas are collected weekly, but during busier times such as Lara and far Eastern Bellarine suburbs may be collected fortnightly. We’ve built strong relationships with businesses who share a similar outlook on recycling and in particular the recycling of unused or old mattresses. Our commercial pick up service area includes Geelong, Ballarat, Melbourne and surrounding areas. 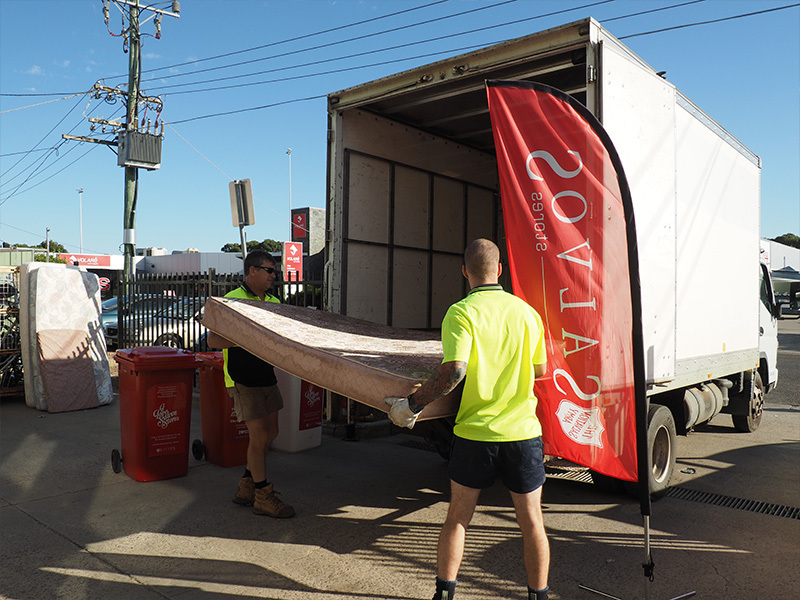 We currently pick up unwanted mattresses from bedding shops, Salvos stores, universities and boarding houses, hospitals and motels. Please note that minimum quantities apply. We offer councils an on demand mattress collection service from transfer stations and depots across Victoria. Most councils now have a zero tolerance towards mattresses going into landfill and we are always happy to provide this service to areas encouraging to minimise their environmental footprint.